It's no wonder writing tutors are in such demand--writing is a crucial academic skill, and one-on-one coaching is often the best way for a student to become a better writer. As a writing tutor, it's important that you notice and encourage strengths while making a kind yet honest assessment of areas for improvement. Also, make sure the student does her own work--don't do it for her. Have the student explain the paper topic to you and identify any problems she thinks her paper may have. Avoid writing on the student's paper. Let her hold the paper and share it with you. Don't edit. Oftentimes, students will hand a writing tutor a paper and say, "Edit this for me." But if you do that, you don't help your student learn. Offer to teach her to edit instead. Teach with examples. It's hard to write an effective conclusion if you've never seen one. Show the student a couple of good papers on related subjects so she knows what she's working toward. Start by encouraging the student to brainstorm ideas and get them on paper. You might even take notes while she brainstorms aloud. After brainstorming, help her start to organize her paper. Ask her to identify which ideas go together. After the student has written a couple of drafts, begin the sentence-level editing process. Encourage her to identify her own errors and show her how to look up corrections in a style guide (I use Rules for Writers by Diana Hacker). Remind students that multiple drafts are necessary. No great writer "gets it" on the first draft! If a student has a lot of grammar errors, take the time to teach the grammar principle behind the mistake. One free online resource for developing your skills as a tutor is the website www.tutoring-expert.com. 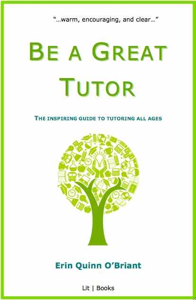 There I have posted excerpts from my book Be a Great Tutor. Enjoy! Article provided by wikiHow, a wiki how-to manual. Please edit this article and find author credits at the original wikiHow article on How to Tutor Writing. All content on wikiHow can be shared under a Creative Commons license. Return from How to Tutor Writing to Tips for Tutors. Find all the expert information you need for success. Are you a tutor? Post a free online profile announcing your services here.